This is an absolutely adorable and spectacular stitch! 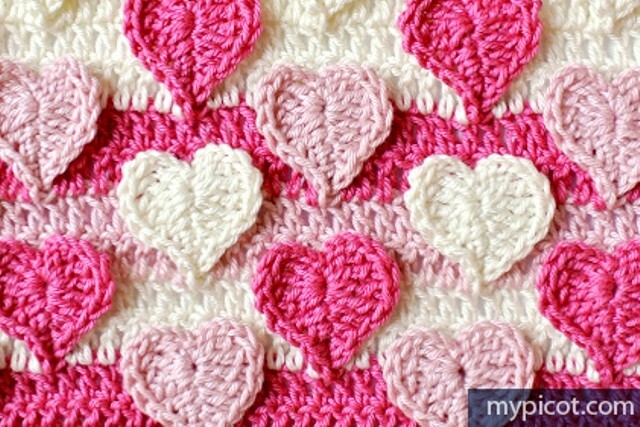 This Hearts Multicolored Crochet Stitch Pattern by MyPicot is so perfect for a baby blanket or to show your love to someone making a lapghan or throw using this beautiful stitch. These multicolored hearts are like a playful invitation to open your heart, stay positive and project happiness today and everyday through the gift of crochet. 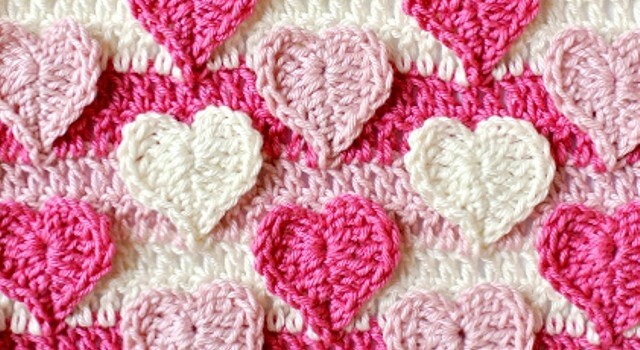 This crochet stitch is precious, unique and a very special gift. Thanks to MyPicot for article inspiration and featured image. Pretty. Debra Arch used a similar technique in her Falling Leaves bag. It look like fun and I have to try this. The one I made a few months ago. Very easy to follow the pattern but I also found I needed to tack the hearts in a couple of places do they would lay down. your site won’t load at my end. is it just me? Really pretty and fresh, personally I am not a heart person. Cute! I shall try this pattern when i finish this other project. You keep out-doing yourselves with these patterns. I have to learn this! Beautiful! Jill Taschner Peery and Connie Barb. No indication of how much yarn is needed to make a blanket. Donna Loomis Springer isn’t this one beautiful?